Chris Dodson, a Troopers member since 2007, submitted this photo and caption. 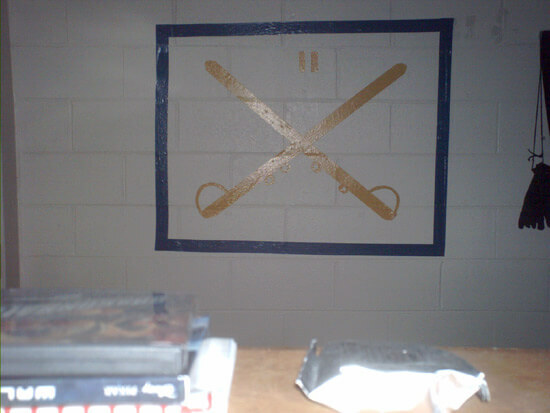 I'm a student at the University of Tennessee at Martin and I made this mural of the Troopers' logo out of duct tape. It's on the wall in my dorm.